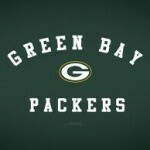 Aaron Rodgers receives lucrative extension Aaron Rodgers is now the highest paid player in the game of pro football. The Green Bay Packers signed Rodgers to a five-year, $110 million contract extension, topping the recent six-year deal received by Joe Flacco from the Baltimore Ravens. 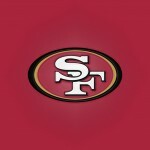 Kaepernick, 49ers best Packers to get to NFC Championship The San Francisco 49ers closed with a 45-31 victory over the Green Bay Packers Sunday night. But, it was, without a doubt, The Kaepernick show. Twitter was hot like fire with NFL player’s tweets once the end of the lockout was announced. One of your favorite guys could be featured. Check the rest…. 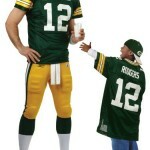 Super Bowl MVP Aaron Rodgers is featured in the latest “Got Milk?” ad, promoting the NFL’s Fuel Up to Play 60 campaign. The solo ad debuted Monday after a mustache battle version was previously released featuring Rodgers and Pittsburgh Steelers WR Hines Ward.